The Wild! haben nicht nur uns vergangenes Jahr mehr als begeistert, sondern offenbar auch die legendären Rose Tattoo. Nachdem die Mannen um Frontmann Dylan ‚Villain‘ Kirouac letztes Jahr für die australische Rocklegende eröffnet haben, sind sie dieses Jahr wieder dabei. Wer Tickets haben will, sollte sich beeilen. Die Nachfrage ist so groß, dass schon Zusatztermine angesetzt wurden. Mit dabei sind dann noch die Jungs von Hardbone. Aber wir bekommen auch die Gelegenheit The Wild! als Headliner zu sehen. Warum hier das auf keinen Fall verpassen solltet und warum, dass garantiert der totale Abriss werden wird, dass könnt ihr hier nachlesen und nachschauen. Mehr als genug Gründe also um ein paar Fragen über den großen Teich zu schicken. Mal schauen, was Dylan so zu sagen hat. 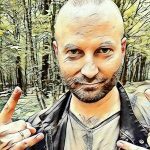 Metal-Heads (MH): Hi Dylan, it’s Jörg from metal-heads.de. Thanks for taking the time to answer my questions. Dylan Kirouac (DK): Yeah dude! Good to talk to you again. Weh had a good time after the last show in Düsseldorf. (MH): You toured in Europe last year and the show in Düsseldorf was amazing. Now, about eight months later you’re coming back.Is Canada too boring or do you prefer the booze over here? (DK): I’ll tell you this, man… If it aint the beer, it’s the KILLEPITSCH! Haha. We love Europe and the fans oversees have been great to us. It’s amazing to see people on the other side of the world singing your lyrics as loud as they can. For that, we would go anywhere but Germans reallly know how to rock’n’roll! (DK): Hell yeah we did! It’s really cool because those guys are our heroes, man… And now, they’re our friends and mentors. Great teachers. It’s a hell of a show each night with The Wild! & Rose Tattoo on the bill and it will always be an honour for us. (MH): Okay,as happy as am I to see you again so soon. What about a new album? (MH): I really liked the videos you did in the past. Will you do you something similar? (DK): With The Wild! it’s always going to be about being true to who we are and what we’re feeling no matter what that is. You can expect a lot more of that honesty from us in the future. (DK): Just want to say a special shoutout and a massive THANK YOU to all our fans in Europe for all the love and support. Together we keep rock’n’roll alive. 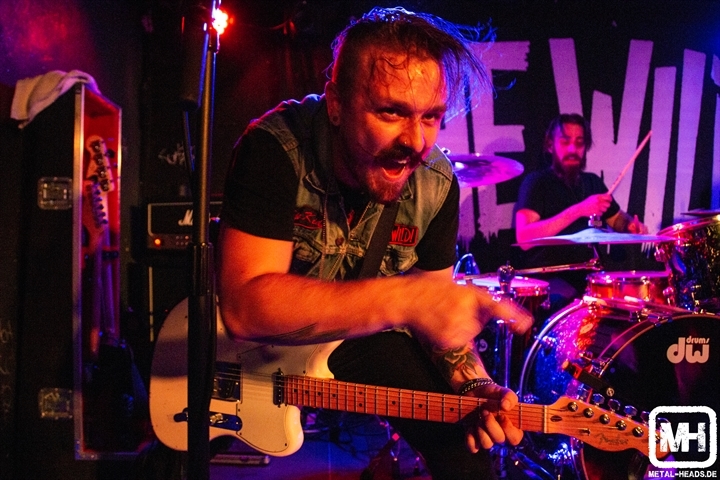 To anyone who hasn’t yet seen us… Come find out why we’re the best new rock band happening today. See you on the road, friends! Wer keine News, Reviews oder Berichte verpassen will, abonniert am besten unseren kostenlosen Newsletter oder folgt uns bei Facebook. Jede Menge schöne Konzertbilder gibt es bei Instagram. 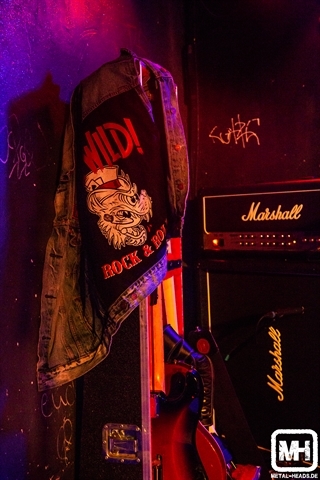 Zur Vorbereitung auf die Tour solltet ihr euch das letzte Album „Wild At Heart“ über den Link unten ordern. Damit ihr auch wirklich textsicher seid… Rock On! 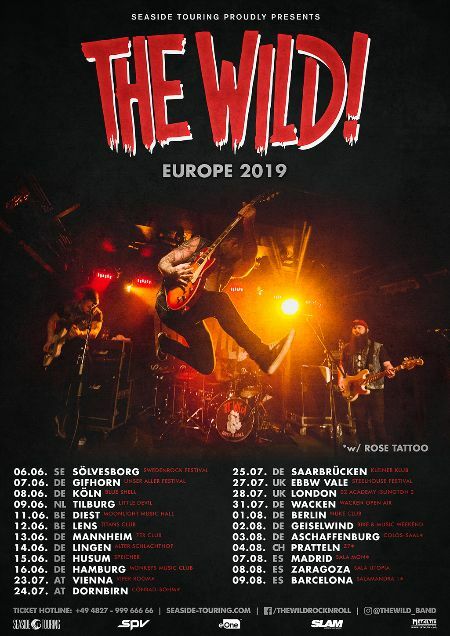 Tags: Aussie RockDylan Villain KirouacHeavy RockRockRock ´n´ RollRose TattooRose Tattoo Tour 2019The Wild Tour 2019The Wild! Hatebreed geben Titel des kommenden Albums bekannt!